Many independent experts on the 1963 assassination of President John F. Kennedy dispute the key claims in a new Time Magazine feature story published on April 25 that puffs up History channel's launch that evening of a new series purporting to shed new light on the killing. Instead, Time's coverage of the six-part series "JFK Declassified: Tracking Oswald" continues the magazine's shameful tradition of misleading its readers regarding a pivotal event in the nation's history. History channel, despite its name and its past under different ownership featuring historical documentaries, now focuses on "reality" shows. That means scripted fakery for purely entertainment purposes and likely, in this instance, for propaganda purposes. So, the notion that a "reality show" should be taken seriously by a major publication like Time even if a series is mislabeled as "history" is preposterous on its face unless the enterprise were part of larger public relations scheme, as this seems to be. 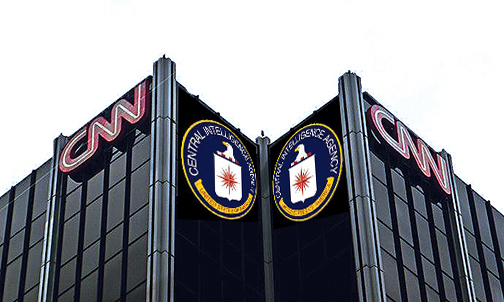 The specifics here are worth examining because they help illustrate how Time, its corporate affiliates like CNN, and most other mainstream media deliberately confuse the public on the most vital public affairs issues in collaboration with intelligence agencies even as they claim to oppose "fake news" and alternative media. In JFK Declassified: Fallback to the Original Phase One Cover Story, longtime JFK researcher William Kelly provided this review: "The much-ballyhooed History channel six-part “documentary," JFK Declassified, is a slick but unconvincing piece of propaganda, a classic case of disinformation that mixes some truth with total falsehoods to promote the original Phase One cover-story for the Dealey Plaza Operation: that the Cuban Castro Communists were behind it." More generally, the Kennedy assassination provides a Rosetta Stone to understanding media coverage of more recent sensitive events involving intelligence and law enforcement agencies. Few can see documentary evidence of what's really happening in Middle East wars or investigations of Russian influence on U.S. public officials, advisors and elections, for example. For the most part, we know only what reporters and government experts choose to tell us. Kennedy's 100th birthday is on May 29. So the History channel's six-week series helps shape public attention for an iconic presidency that ended with his slaying in broad daylight in Dallas on Nov. 22, 1963. 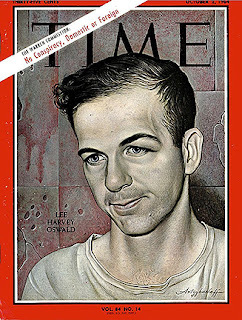 Almost immediately after JFK's death, authorities pronounced the case as solved when JFK's accused slayer Lee Harvey Oswald (shown on a 1964 Time cover) was killed by nightclub owner Jack Ruby on live television in a Dallas police station two days later. Then as now, the corporate-controlled news media typified by Time worked closely with authorities to deliver a mixture news and public relations to a shocked nation. But the public received little in-depth reporting about the murder despite what was ostensibly blanket coverage of the ceremonies and transition to the administration of a successor president, Lyndon B. Johnson. 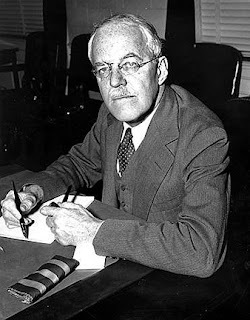 Although the American public has been repeatedly deceived by top officials and their media allies about basic facts regarding Kennedy's death, the official account is so incredible for so many reasons that public opinion polls for decades have shown that large majorities of the American public do not believe the central finding of the Warren Commission: The blue-ribbon panel led by Supreme Court Justice Earl Warren and including former CIA Director Allen Dulles found that Oswald killed Kennedy while acting alone. Coverage this week by Time magazine (and apparently History channel) appears to accept the Commission's findings as core truth. The TV series apparently goes on to distract the public with essentially a wild goose chase speculating about the meaning of Oswald's activities. Thus, the video series first segment on April 25, Former CIA Operative Argues Lee Harvey Oswald's Cuba Connections Went Deep, explored a long-discredited thesis that Oswald's travels help suggest potential sympathy for him from Cuban and Soviet Communist leaders, thus potentially linking them to his death. This diverts public attention from compelling evidence that Oswald, a former Marine trusted with involvement in the ultra-secret U-2 spy plane operation, had been acting as a low-level U.S. government asset with ties to the CIA, FBI and military intelligence before the assassination. Compare Oswald's Marine photo at left with Time's portrayal to get a sense of the propaganda techniques in play. Which photo looks more like an anti-American deranged killer? By this interpretation, Oswald's ostensibly suspicious activities were his cover to ingratiate himself with Communists to help his U.S. superiors advance their anti-Communist agendas — and all of his work could be conveniently transformed into making Oswald into a patsy, or fall guy, for assassination if needed. A declassified transcript of a 1964 Warren Commission executive committee meeting shows Dulles urging his fellow commissioners to help squelch public reports at the time that Oswald had been a government agent. Outraged over the CIA's Bay of Pigs debacle and other out-of-control activities, JFK had forced the resignation of Dulles in 1962 along with the director's two top aides. One was Gen. Charles Cabell, whose brother Earle Cabell was mayor Dallas. Those are not the kind of connections Time Magazine and its peers like to pursue. 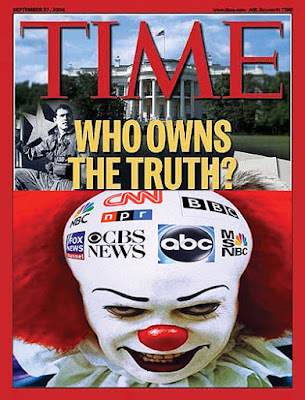 But we shall, with an in-depth look below at Time's close historical connection with the nation's propaganda apparatus at the highest levels. 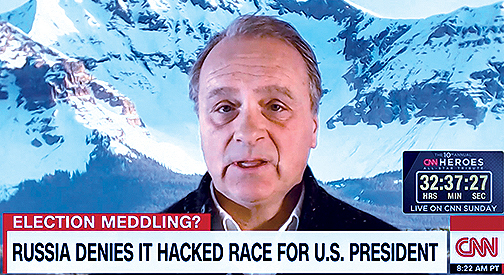 Fast forward to the present: The History show's host is Robert Baer, a former CIA officer who purports to act as an independent expert. But Baer's conclusions appear to parrot the 1964 Warren Commission report and obscure questions about the CIA's apparent multiple roles in the JFK death and investigation. Those ties run extremely deep, according to some four million pages of declassified documents pertaining to the assassination. Experience has shown that financial and other career rewards tend to be far richer for JFK assassination researchers like Baer who endorse the official findings rather than interview the many dissenters, who publish books that are rarely reviewed and convene at packed-to-capacity conferences that rarely include a reporter from a mainstream news organization. This editor attends such conferences and knows that people are still living who knew Oswald as a friend, including as a fellow U.S. Marine — and who doubt his intention or ability to kill Kennedy. Even if one discounts such personal testimonials, compelling scientific evidence suggests that Oswald could not have killed Kennedy from the rear because the fatal shot came from the president's right front. But those kinds of central, legitimate questions do not appear to be the focus on the History channel series, according to Time's account by staff writer Olivia B. Waxman. 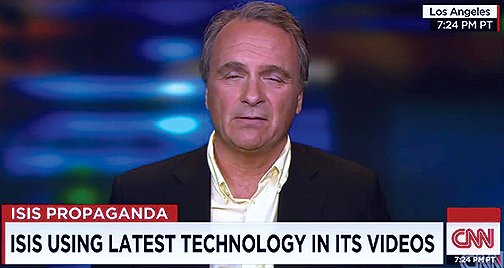 The show's star is Baer, age 64, now a CNN commentator and host on History channel's reality shows. 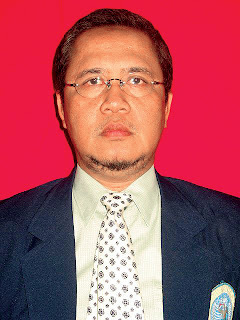 He is shown in a file photo below. History channel, a basic cable network, is owned by the Arts & Entertainment Network as a joint venture between Hearst and the Disney Corp. The owners have transformed it into a "reality show" network from its roots in documentaries and history. In other words, it provides fake reality on important topics, thereby enabling fake news puffery from such outlets as Time Magazine. This has occurred many times previously via the media's efforts to confuse the public with heavily promoted but preposterous explanations for JFK's killing. 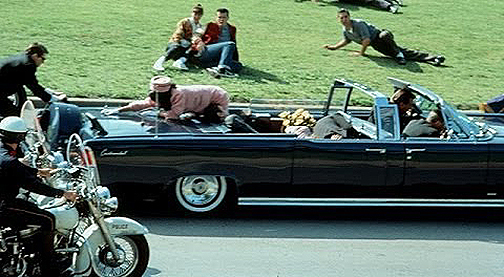 One such wacko idea aired repeatedly in books and a 2013 TV movie, JFK: The Smoking Gun, is that Secret Service agent George Hickey accidentally killed Kennedy during the Dallas motorcade. That's pure distraction and was deeply embarrassing to the innocent Secret Service agent before his death, as we reported here in the 2015 column Understanding Hollywood-Style Presidential Propaganda From JFK To Trump. Waxman fails to address the basic issue with her thesis and History channel's premise: That a career spy like Baer trained to fool people would suddenly start informing the public about the CIA's secrets regarding the crime of the century, even though the evidence is clear that apologists for the Warren Commission tend to make far more money and obtain far more news coverage than whistleblowers. Among the disputed assumptions and opinions in the Time article (and apparently in the film series, as reported by Waxman) are the claims parroting the Warren Report's conclusion that Oswald "acted alone" in killing Kennedy, as Waxman wrote. 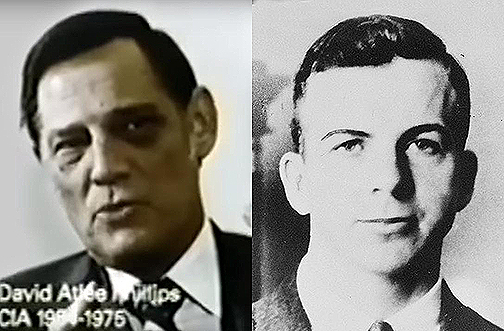 Some experts dispute whether Oswald, who was seen on the Texas School Book Depository's second floor about 90 seconds after the shooting, ever shot at JFK from the building's sixth floor or at the policeman Tippit later in a residential section of Dallas, as authorities claimed. Such disputes are ultimately less significant than the clear-cut evidence that Time Magazine (and such Time Warner affiliates as Life Magazine and CNN) are among the government-influenced media that have long suppressed vital witness and documentary evidence. This week's Time article and series are yet another example of how these outlets apparently do not report for the most part even that major controversies exist, much less that compelling evidence supports what they like to smear as "conspiracy theory," as we have reported here. Solid evidence exists, for example, that Oswald, a former U.S. Marine who held high-level security clearance while working on the U-2 spy plane project, was a U.S.-government asset. He pretended to be a pro-Communist defector to the Soviet Union and he similarly advocated for Fidel Castro upon return to the United States in 1962 only as an assignment. They have long been reported to have included the late New Orleans private detective Guy Banister (shown at left), a committed anti-Communist and former high-ranking FBI executive spotted with Oswald in friendly conversation. 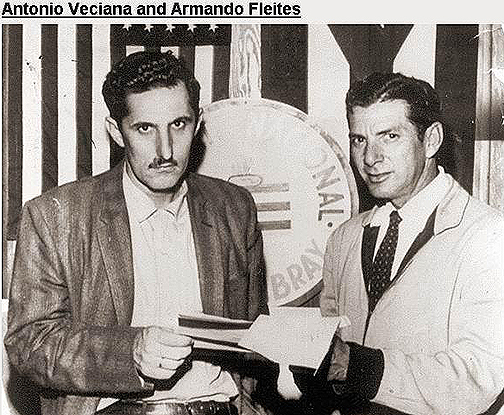 Separately, Antonio Veciana, the former commander of the anti-Castro assassination squad Alpha 66, published a memoir Trained To Kill last week confirming his veiled assertion that his friend and former CIA case officer, the late David Atlee Phillips once introduced him to Oswald in a Dallas office building lobby six weeks before Kennedy was fatally shot in the city on Nov. 22, 1963. Veciana came close to making the claim about Phillips in the late 1970s to congressional investigator Gaeton Fonzi. Fonzi persuaded Veciana to tell his story to help the probe of the House Select Committee on Assassinations, the last formal inquiry into the Kennedy assassination. But Veciana was nearly killed after the testimony in 1979 by being shot in the head in Miami, where he lived following years of work with the CIA organizing fellow Cuban exiles to work with the CIA to try to kill Fidel Castro and other Communist leaders. 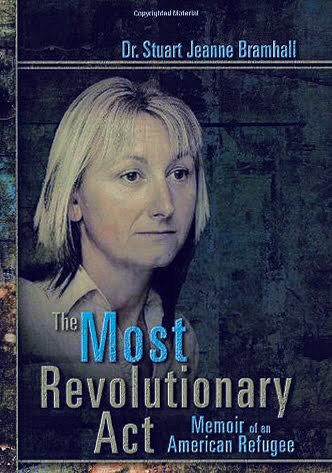 The backstory provides a fascinating interplay between "journalism," propaganda and assassination, among other topics of continuing relevance. According to Veciana's account, he was the leader of Cuba's national association for accountants and held a prominent banking job when he became disillusioned with Castro. The CPA said he was recruited by Phillips (operating under the code name Maurice Bishop) to help lead a long-term campaign of anti-Castro propaganda, bank robberies and bombings that played a significant factor in destabilizing Cuba's economy. Veciana said he coordinated three major assassination attempts on Castro, two with CIA backing. He said two of the attempts relied on training assassins who had created false identities as journalists so they could kill Castro at press conferences during foreign trips. Each attempt failed. 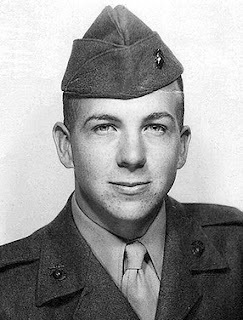 Phillips, shown in a file photo, was a World War II veteran who used his post-war jobs as a newspaperman and actor to rise within the CIA. He supervised operations of the Cuban exile community and retired as chief of the agency's Western Hemisphere operations under CIA Director Richard Helms, also a former journalist. Phillips used scores of secret identities as he supervised attempts to overthrow Castro and other leftists governments in Latin America according to declassified documents and books, including those by historian Dr. John M. Newman, a military intelligence officer for two decades. In a 2014 conference on the 50th anniversary of the Warren Commission report, Veciana (speaking in Spanish with a son as an interpreter) said he would identify Phillips then for the first time as "Bishop" because he wanted to set the historical record straight. Veciana said he wanted to do so before death because of his love for his adopted nation, the United States, and his recognition late in life that Kennedy was not a traitor to the anti-Communist cause but instead a president trying to fulfill his duties as best he saw them. The memoir, co-authored with Carlos Harrison and with a foreword by historian David Talbot, is published by Skyhorse, which has published many other books on the Kennedy assassination, including Fonzi's memoir The Last Investigation. Talbot's in-depth 2015 study The Devil's Chessboard: Allen Dulles, the CIA, and the Rise of America's Secret Government, published by Harper, was largely ignored by mainstream media even though Talbot's previous book, Brothers: The Hidden History of the Kennedy Years, had been a best-seller. Anyone interested in history, intelligence, the book industry or the Kennedy years can doubtless learn more in similar fashion by observing the treatment the corporate-controlled media accord (or withhold) regarding Veciana's riveting, courageous and important memoir. Last week, Isaac Davis wrote for the alternative website Waking Times a sardonic but credible column entitled, The 25 Rules of Disinformation. It began, "We are in the post-constitutional era in the United States, a time when the government does whatever it wants to whomever it wants, and there is not a thing anyone can do about it. How it is possible that the president can bomb a foreign country or threaten a full-scale international war without so much as even mentioning the need for Congress to chime in, let alone actually vote on a declaration of war?" 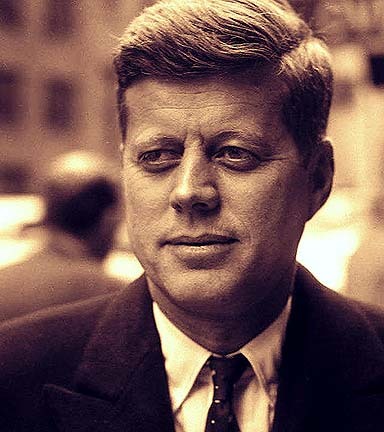 With that preamble, he provided a list of 25 techniques, most of which are readily apparent to those who have studied (as has this editor) media coverage of Kennedy killing. Examining those patterns in terms of Time-Life coverage is especially instructive because the magazine empire was so important nationally then in terms of readership and JFK coverage. 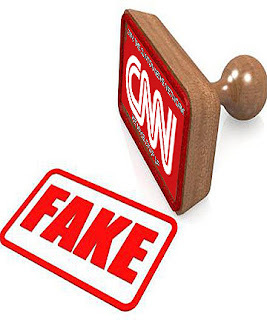 Under the successor company Time Warner (parent of CNN), the company continues to be influential and less-than honest, as indicated by its Time story this week and CNN coverage of Kennedy's murder that we shall examine in one of our next columns. In the early 1960s, Time (advertised as a "news" publication) was arguably the most politically influential magazine in America. Its sister publication, Life, set the tone for visual impact, particularly in the early days of television when evening news broadcasts were just 15-minutes-long and all television programming was broadcast in black-and-white. Biographers have chronicled how founder Henry R. Luce used his editorial power behind the scenes in surreptitious ways similar to propaganda in order to advance what he liked to call "The American Century" and other political goals, such as anti-communism as well as the usual fare of sports, entertainment and other popular material. Thus his quoted statement portrayed at left was not simply a slogan but instead a key to understanding how his magazines were organized as a tool to achieve his goals. Kennedy's death in Dallas prompted Luce's team to swing into action in ways that determined the course of history. 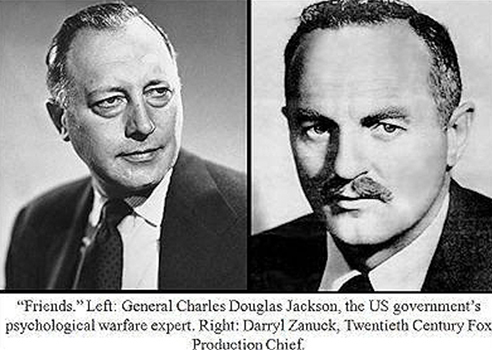 Time Publisher Charles "CD" Jackson, a master propagandist who had held top-level jobs in the federal government and at Time-Life, acquired the exclusive rights to both a film of the shooting by Abraham Zapruder and to the memoirs of Oswald's widow Marina Oswald. But rather than publish the materials widely, as one might expect from a publisher, Jackson and his company suppressed them both for the most part, except for material (such as still shots from the Zapruder film) that could be used in Life to suggest Oswald's guilt. The Zapruder film was suppressed from full public view for 12 years until 1975, when the civic-minded and intrepid film technician Robert Groden delivered a purloined copy to the then-ambitious and courageous ABC-TV host Geraldo Rivera. For many if not most viewers, the film contradicted the narrative by the Warren Commission and corporate-controlled media that Kennedy's head movements showed he had been fatally shot from the rear, Oswald's location as an employee of the Texas School Depository. Instead, the film seems to validate the conclusion of many eyewitnesses and forensic experts who said that the fatal shot came from the vicinity of a picket fence on a grassy knoll to Kennedy's right front. Our photo below was taken from behind that fence on the 50th anniversary of the death. At center is a spot on the street that Groden repeatedly paints as a memorial to the slain president on the approximate spot of his death. 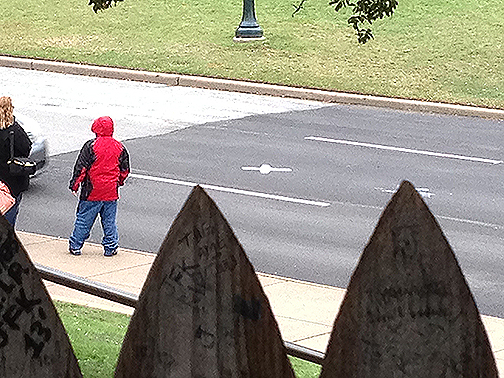 Dallas authorities have repeatedly removed that cross from visibility in a Lady MacBeth "Out damned spot" exercise. They have arrested Groden nearly 90 times through the years as part of their effort to deter his painting and book-selling at the scene. A review of the history, including some four million pages of declassified assassination documents and the statements of forensic doctors and other experts who describe Kennedy as being shot from the front, leads to a perception that the big-time national media still care more about protecting the official story than using a documentary series to explore honestly the troubling questions about JFK's death. In 1963, Jackson was well-prepared for his role to help orchestrate this process. He had honed his skills with Time-Life beginning in the 1930s. After stints with the CIA's World War II predecessor, the Office of Strategic Services (OSS), Jackson served in the Eisenhower White House as a national security advisor to the president. Some historians have called Jackson America's top psychological warfare expert of his era and also the nation's most important anti-Communist Cold Warrior. 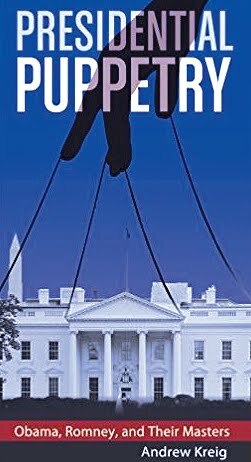 At the White House, for example, Jackson played the key role in organizing the secret annual Bilderberg Group conferences for many years under the leadership of the billionaire Rockefeller and Rothschild families. Starting 1954 in the Bilderberg Hotel in the rural Dutch town of Oosterbeck, the group has convened about 130 Western financiers, diplomats, media moguls and industrialists (along with occasional crowned heads of such nations as the Netherlands and United Kingdom) to discuss matters known only to them but presumably affecting the major Western democracies. Jackson served as a top White House liaison to Hollywood to foster anti-Communist themes in 1950s movies. Jackson is shown with one of his Hollywood contacts, Darryl Zanuck of Twentieth Century Fox. Manipulation of public perceptions on the JFK murder can be observed in many ways. Time's cover shot of Oswald for example, fostered media's pervasive public relations campaign portraying him as an anti-American killer. 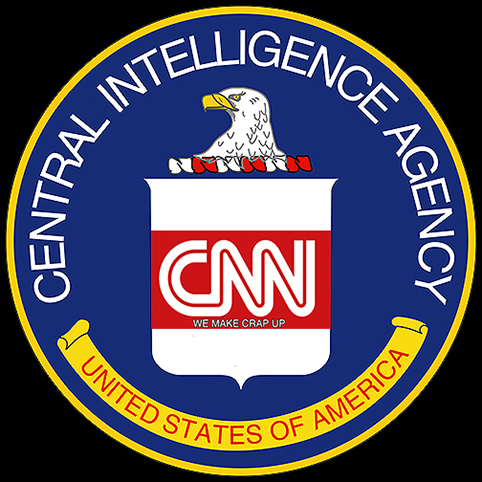 More generally, the nation's major newspapers, broadcasters and other media are reported to have cooperated with the CIA in a program called Operation Mockingbird whereby leading news organizations would cooperate on national security grounds in news coverage of sensitive events. Even more generally, researchers have documented a vast black budget, some of it taxpayer money via the CIA and its front groups and some via cooperating private sector groups, that helped secretly fund publishers, professors, pundits, foundations, unions, and other private corporations willing to cooperate on a confidential basis with the government's national security program. 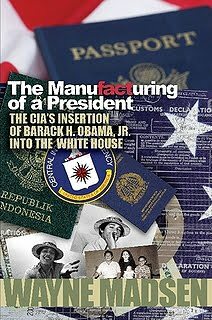 The existence of these secret funding sources was well-known to insiders in Washington, DC, Hollywood and New York City along with several elite universities especially and thus helped shape the nation's thought leadership and direct it towards CIA-friendly initiatives. 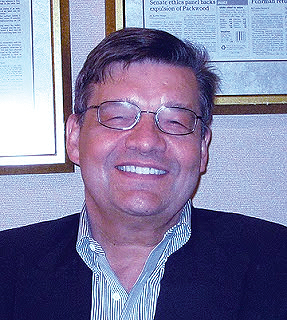 As a few of many examples with at least tangential relevance to the JFK murder: Kai Bird, biographer of Warren Commission member John J. McCloy, the former top leader of the Chase banking empire, the Ford Foundation and the World Bank, wrote in his 1992 biography The Chairman, that the Ford Foundation was the nation's top secret conduit in the 1950s for CIA secret money; and former Navy intelligence officer and NSA analyst Wayne Madsen last year published The Almost Classified Guide to CIA Front Companies, Proprietaries and Contractors, a unique A-Z, 400-page encyclopedia of organizations used to provide "plausible deniability" and other cover to agency operations. Today's Time Magazine JFK Coverage: Merely Opinion Or Fake News? Time Magazine's continued bias and/or deliberate disinformation on this topic is illustrated by the opening of its column by Olivia Waxberg, who appears from her bio and photo to be a relatively young writer with scant apparent background in relevant historical studies. She might be appalled to learn the history of her employer regarding Kennedy assassination coverage. Or she might be favorably impressed and react as have countless others at high ranks of American journalism who go along to get along. Dan Rather (the only reporter allowed to see the Zapruder film by Time-Life), Bob Schieffer, Jim Lehrer and many others got their big break by "covering" the assassination and by never pursuing the kinds of angles cited here. Bill Moyers, President Johnson's press secretary, in effect orchestrated the cover-up, we now know from declassified documents and other contemporary accounts, thereby enabling him to pursue an impressive career otherwise, just as the others did. Some put on a blank face when asked about evidence contrary to their reporting and some get angry, according to my research and first-hand experience. After Lee Harvey Oswald shot President John F. Kennedy shortly after noon on Nov. 22, 1963, things moved quickly. 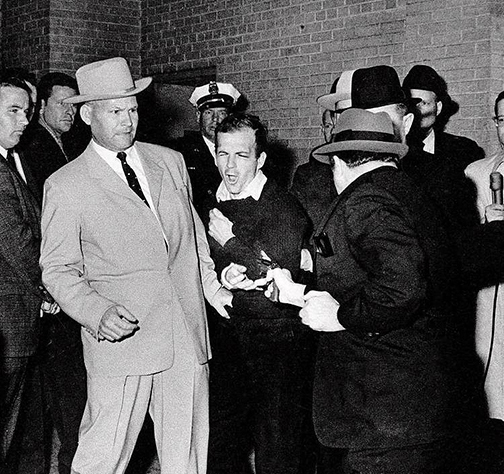 About an hour later, Oswald fatally shot Dallas police officer J.D. Tippit. Thirty minutes after that, police found Oswald and arrested him. Two days later, on Nov. 24, Jack Ruby shot Oswald (shown in a 1964 Time cover photo just as the Warren Commission report was released). And just a day after the assassination, FBI Director J. Edgar Hoover had already expressed his preliminary finding that Oswald had acted alone. 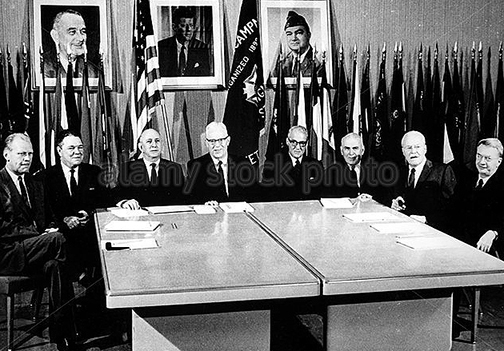 The full Warren Commission report would later back up that finding — but more than a half-century later, polls have found that most Americans are not convinced of that fact. One blog post cannot summarize all the major reasons why Time and other media do not try to report the secrets of the Kennedy assassination except in such timid and sporadic fashion. The Justice Integrity Project's so-far 37-part "Readers Guide to the JFK Assassination" is better suited for that. The guide contains links below to a wide range of research materials. Among them are listings of the most important of the 2,500 or so books on the topic of the JFK assassination, with every significant point of view represented. 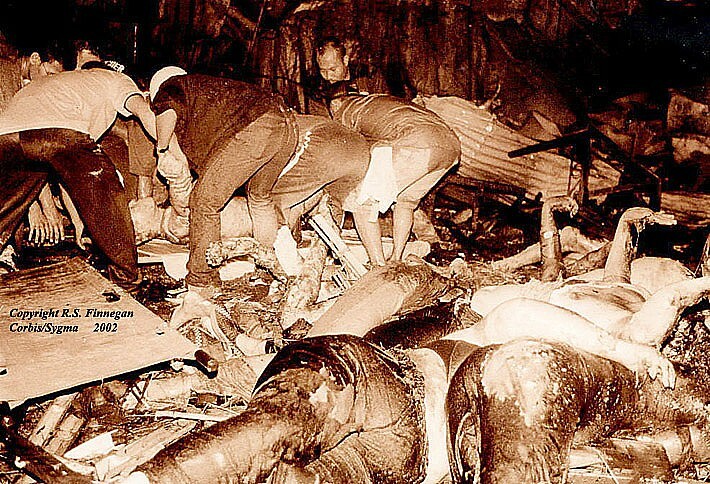 The guide also has many columns that document how a cover-up has persisted to the present. There are many other sources for the curious and civic-minded. Many critics of the Warren Commission cite the 2009 book JFK and the Unspeakable by James Douglass as the single best book surveying previous research and explaining why JFK was killed and the crime covered up. For the video-inclined, two recent documentaries have impressive producers and treatments. One is "The Searchers" produced by award-winning independent filmmaker Randolph Benson, a film instructor at the Center for Documentary Studies at Duke University. The film, available on DVD, portrays courageous searchers for truth about the assassination, both experts and scholars, who have long been ignored by the media. The film was recently awarded the Orson Welles Prize at the 16th Tiburon International Film Festival. Upcoming screenings include the Dealey Plaza UK Conference in Canterbuy, UK on April 29, the Freethought International Film Festival in Orlando on May 6, the Varsity Theater in Chapel Hill, NC on May 18, and Tsunami Books in Eugene, OR on June 9. Admirers of the producer (including this editor) are seeking a venue for a screening in the Washington, DC area congruent with the JFK 100th birthday anniversary in May. Benson filmed (and was one of the expert speakers) at an important conference March 16 convening leading experts on the JFK assassination at the National Press Club. The conference is summarized in Speaker Program For March 16 Forum On Secret JFK Records and in related stories. Another important video launch will be the premiere on May 26 at the Beverly Hills Music Hall of John Barbour's latest installment of his documentary on the JFK assassination, "The American Media: The 2nd Assassination of President John F. Kennedy." Barbour is the narrator and Myra Bronstein is the producer. Another screening will be June 9 for a week at Cinema Village in Manhattan. A trailer for the film can be seen here. There is an extreme irony in that launch: Barbour, creator of the 1970s hit show "Real People," is the godfather of reality television. Yet he has devoted many years to an actual documentary about the JFK case that blames the media for a "second assassination." 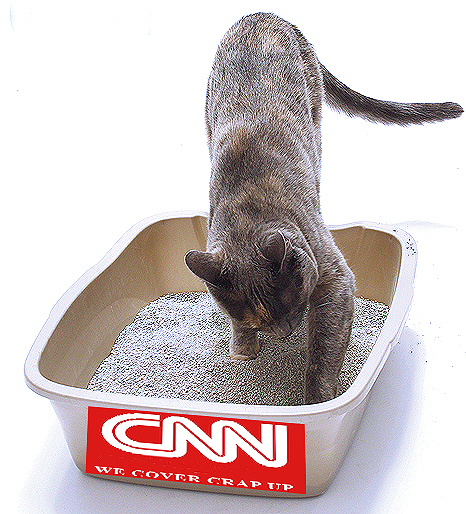 Meanwhile, major media focus on such distractions as the so-called History channel's "reality" offering. This is not mere history. Resolution of the key issues, perhaps made possible by the National Archives scheduled release in October of remaining documents suppressed by agencies like the CIA, will help illuminate current events and their credibility of coverage by outlets like Time.In sum, Time's fundamental assumptions — that Oswald is proven to have acted alone in killing JFK and the policeman Tippit, and that the former CIA case officer, Baer, is a genuinely independent expert willing to expose the agency or others if needed in order to alert the public to the truth — are dubious at best to many other experts. But Time Magazine and its peers in the corporate-controlled media appear to accept all of this without question. For the public, the question is what else is reality? What else is fake news? 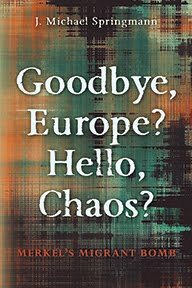 Contact the author Andrew Kreig.